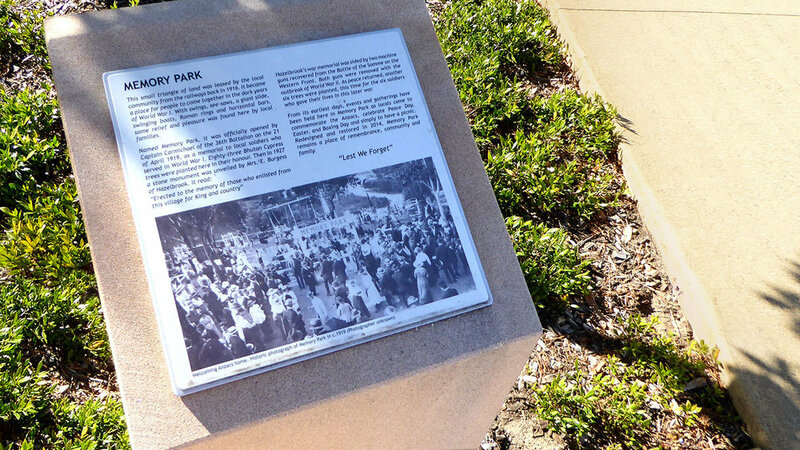 Memory Park was reopened to the public after extensive redevelopment by Roads and Maritime Services (RMS). 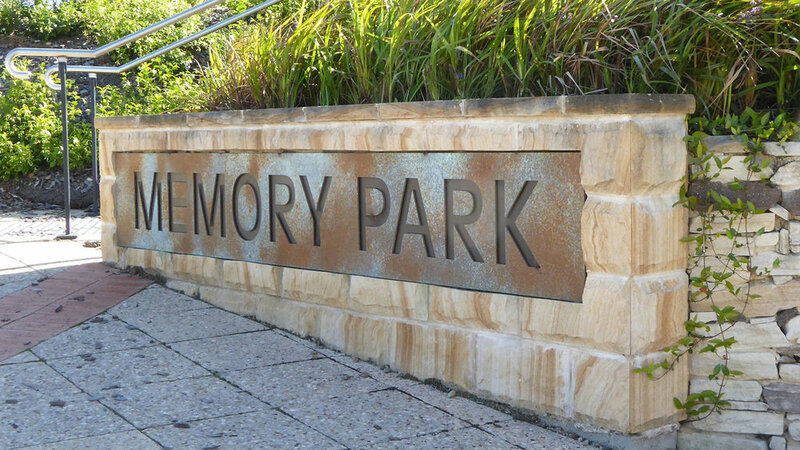 Located alongside the Great Western Highway at the township of Hazelbrook in the scenic Blue Mountains, Memory Park incorporates significant cultural heritage and landscape value. 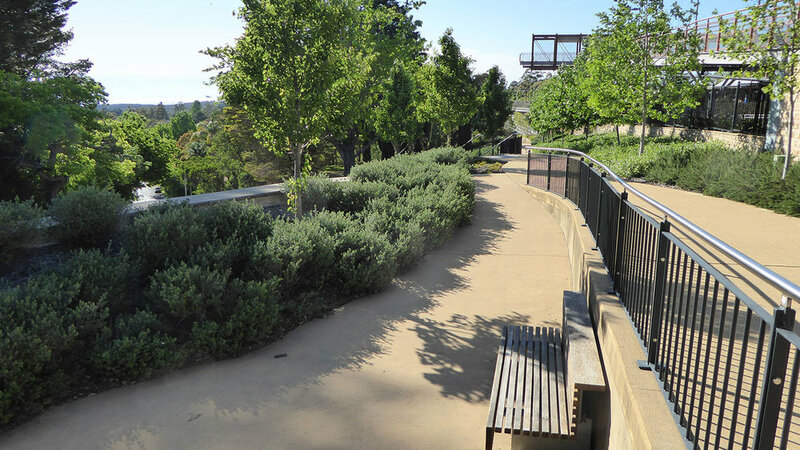 Redevelopment of the Park formed a major component of the Highway upgrade through the Blue Mountains west of Sydney carried out by RMS. 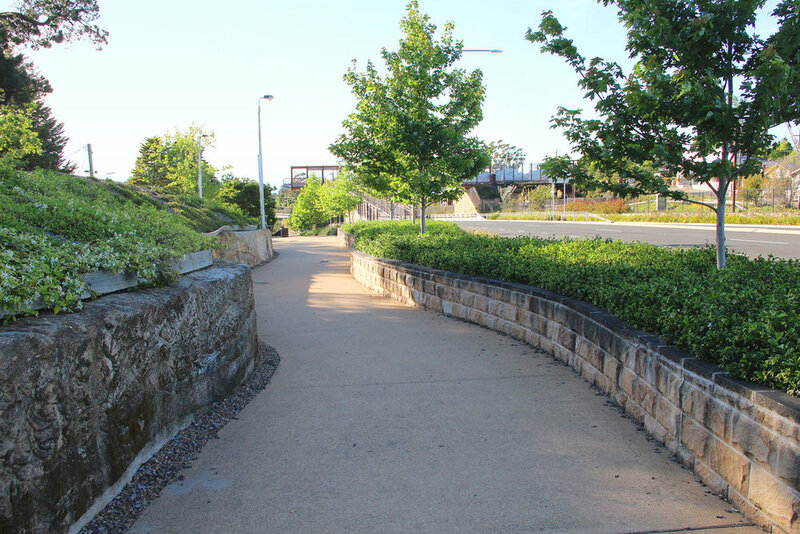 Corkery Consulting was engaged by URS to design and document the Park as part of the larger project involving the upgrade of the Highway between Woodford and Hazelbrook. Covering some 3,300 square metres Memory Park provides an attractive and relaxing local park. It also allows safe and convenient access between Hazelbrook village centre and adjoining residential areas and high school. 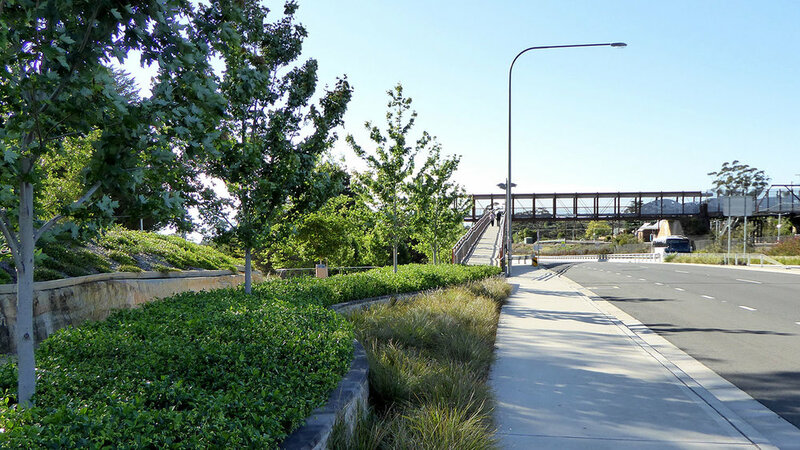 Access to Hazelbrook railway station is provided by new pedestrian bridge over the Highway via a ramp along the edge of Memory Park. 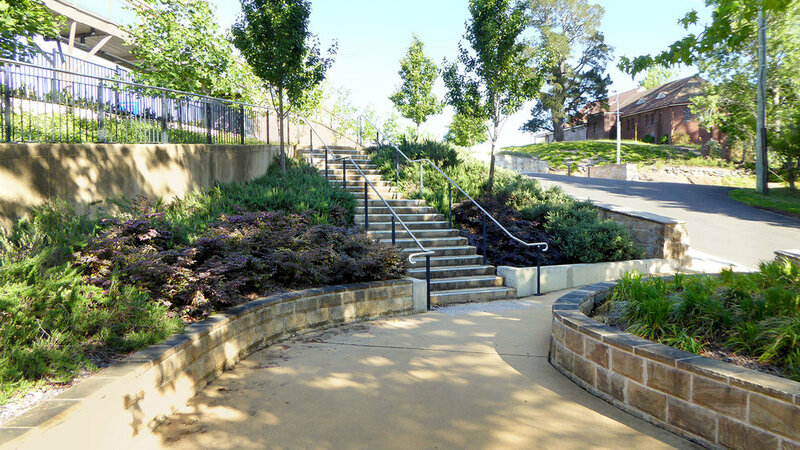 To deal with the significant change in elevation across the site our landscape design incorporates an integrated system of ramps, stairs, seating, retaining walls and hand rails. The design also accommodates a dense pattern of underground services that presented major challenges in terms of alignment and soil cover requirements. 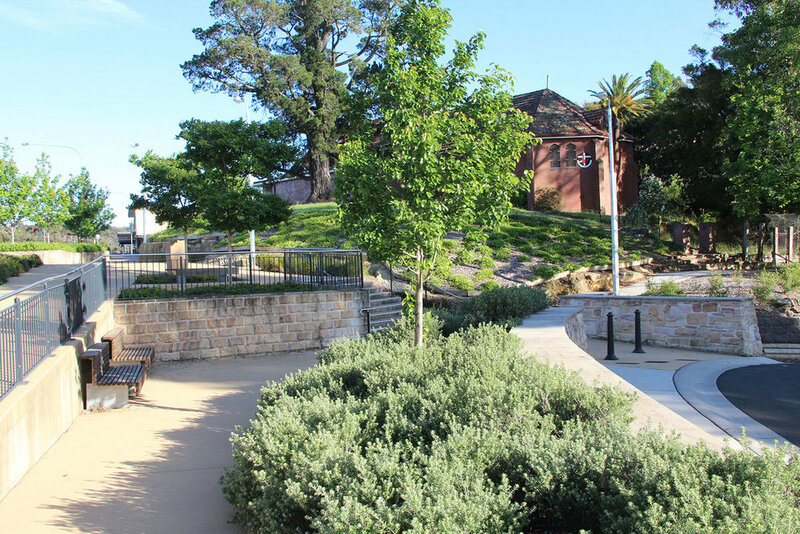 reflect the cultural landscape associated with many villages in the Blue Mountains. between canopies and in autumn the foliage turns rich golden yellow. Other species include Ornamental Pear and Crepe Myrtle, which will provide seasonal blossom flowers in spring and summer. 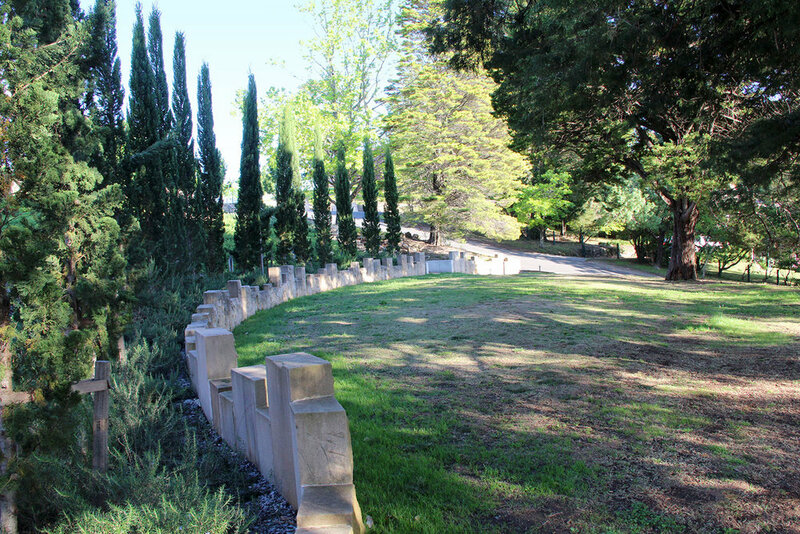 A curving memorial sandstone wall was constructed to form a memorial arc with a row of 18 Cypress Pines planted alongside the wall to commemorate local soldiers who died in war.